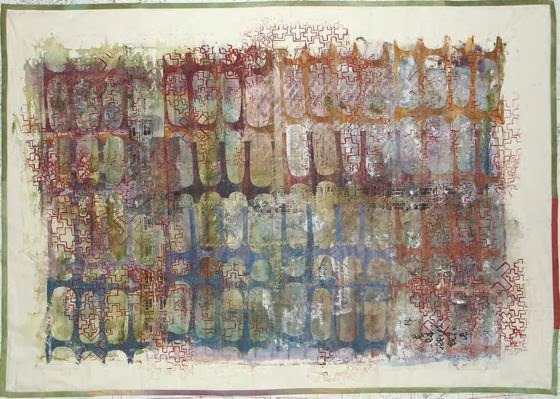 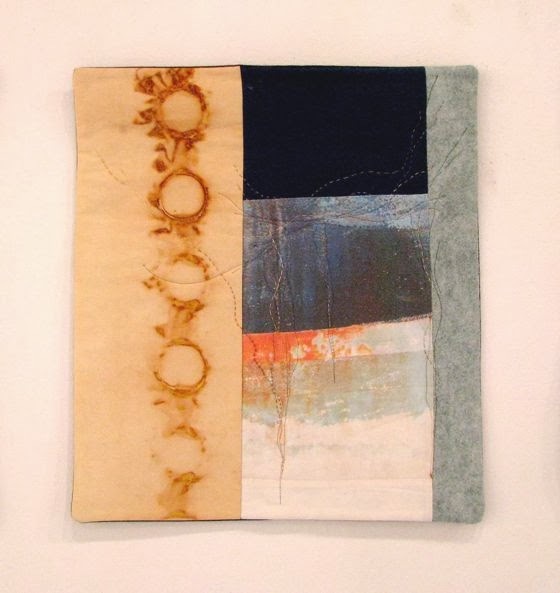 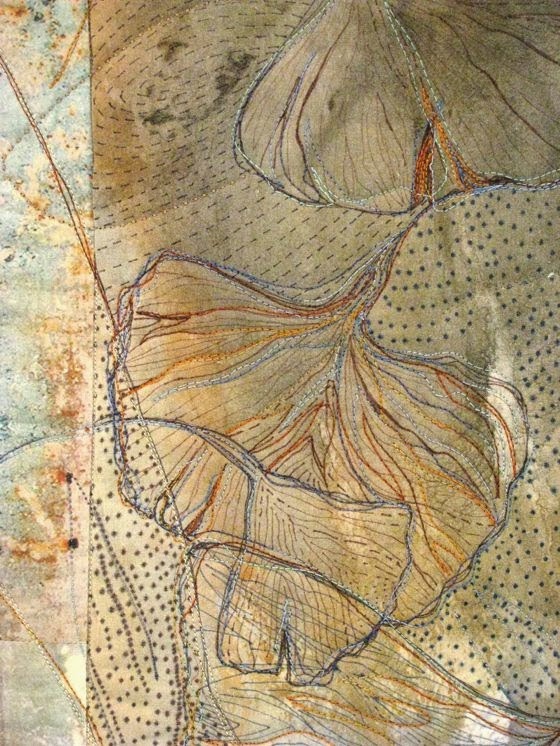 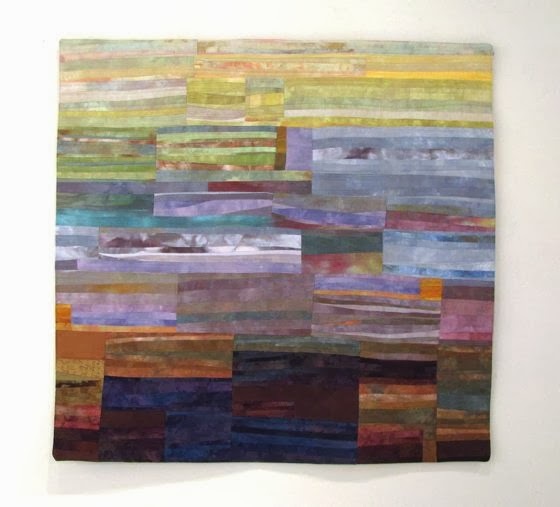 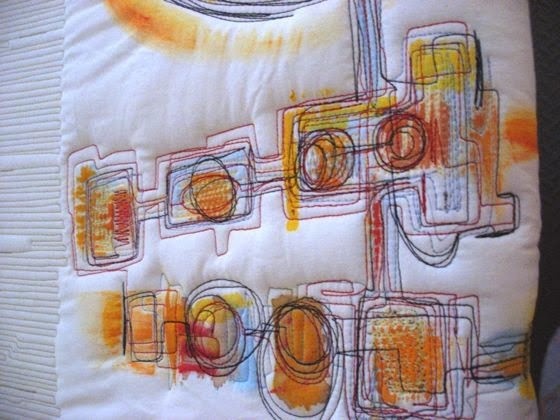 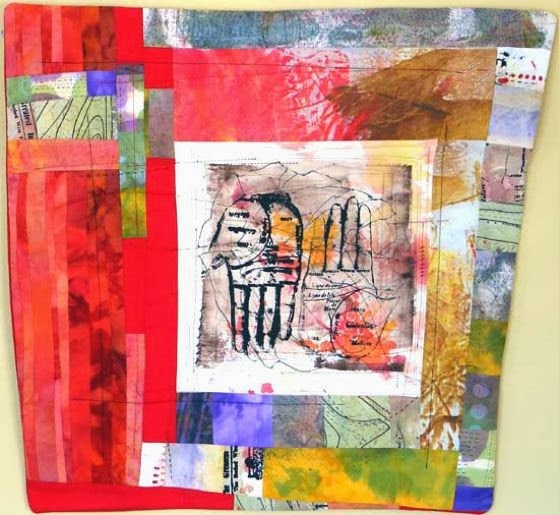 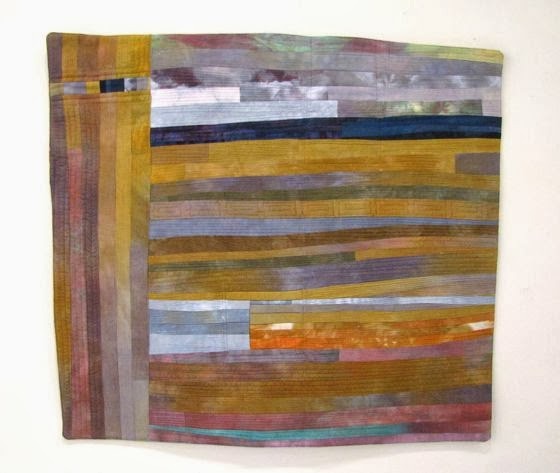 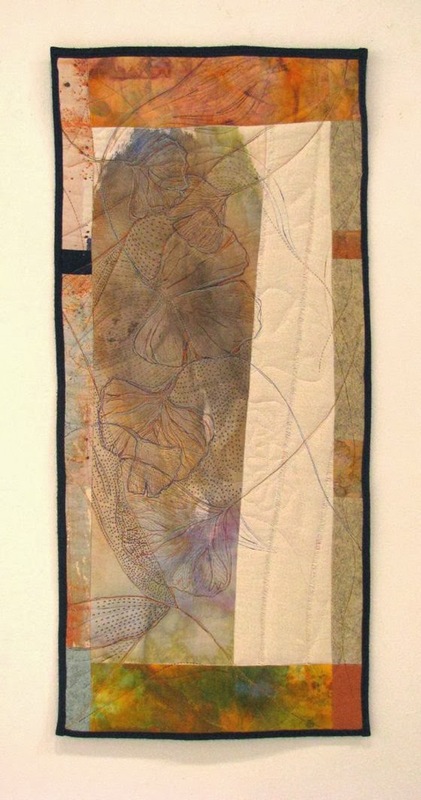 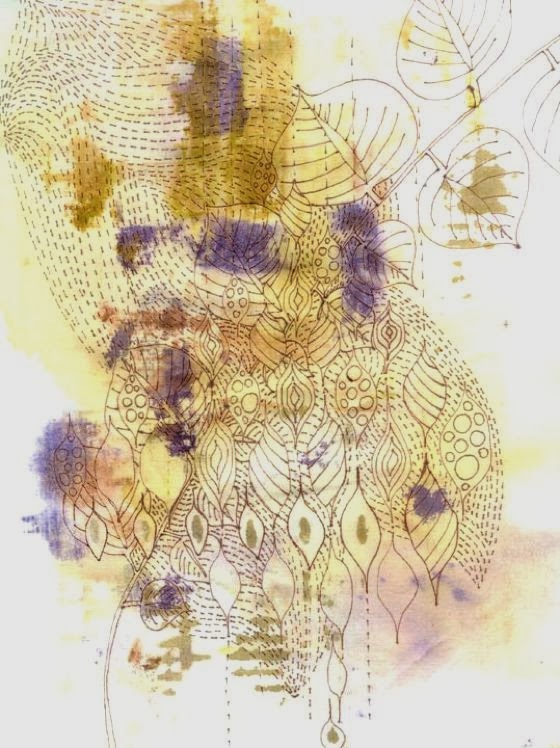 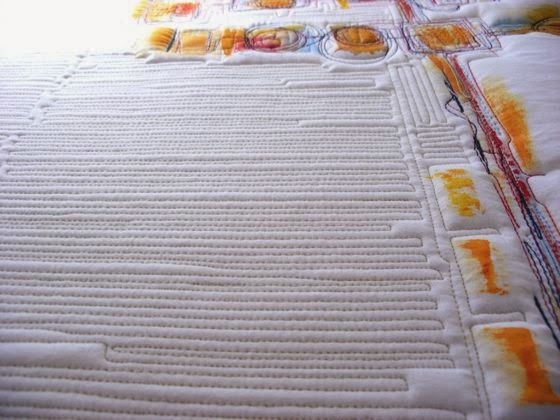 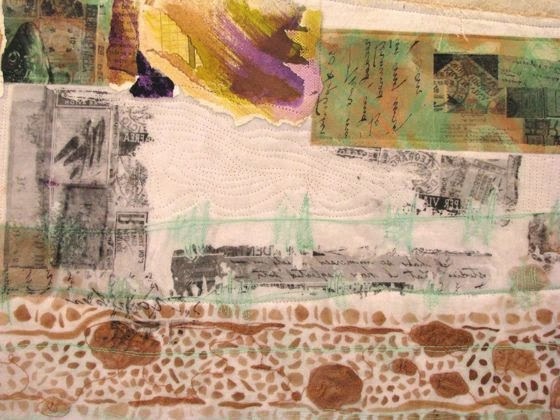 Fulvia Boriani Luciano is a talented textile artist from South Carolina, USA. 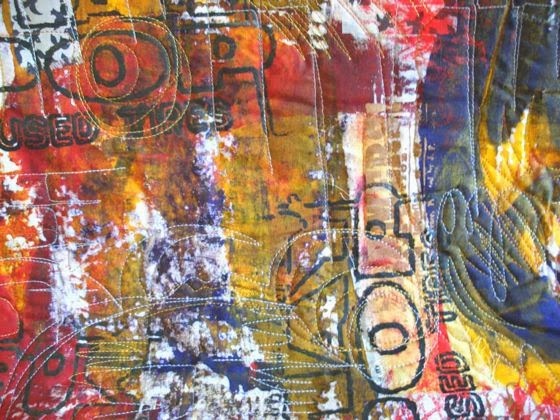 Using her photographs and illustrations as a starting point, she paints, printing and sewing, with layers, bold lines, brushstrokes, graffiti. 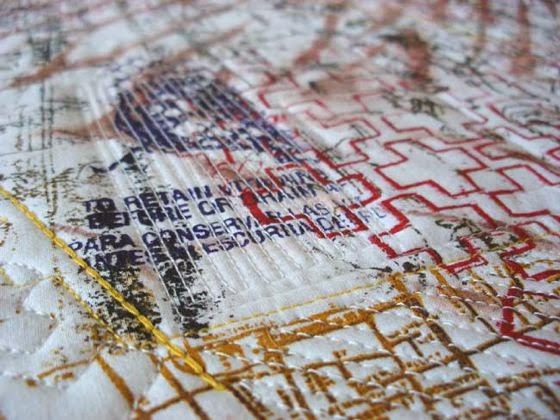 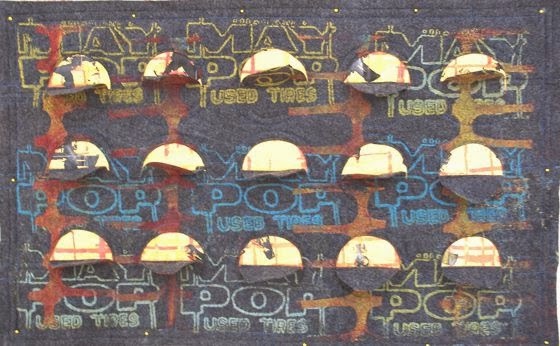 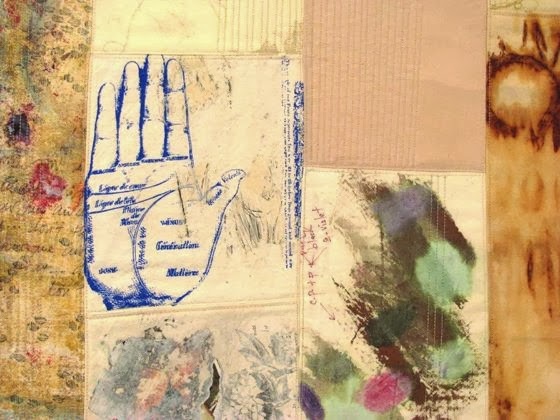 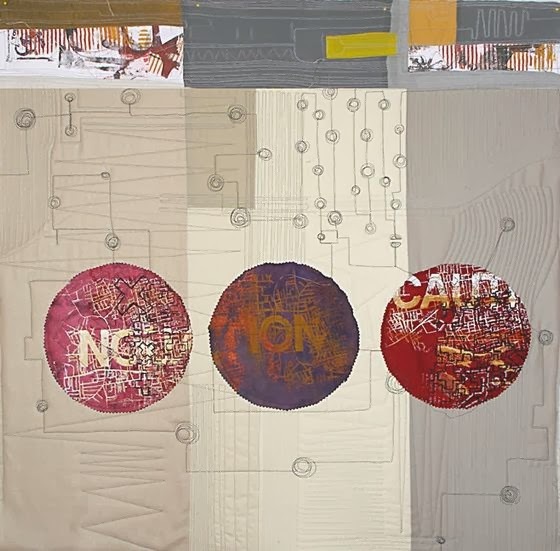 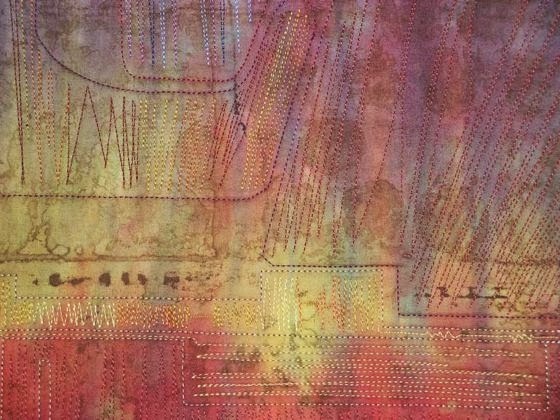 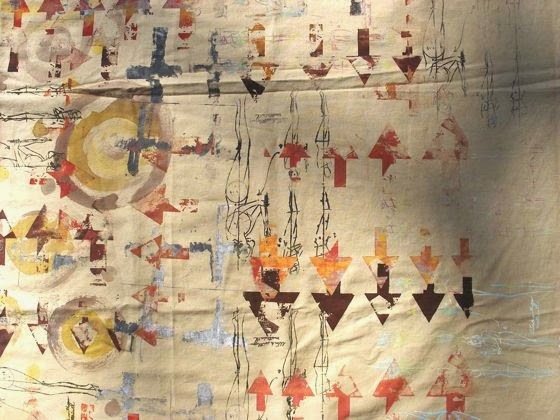 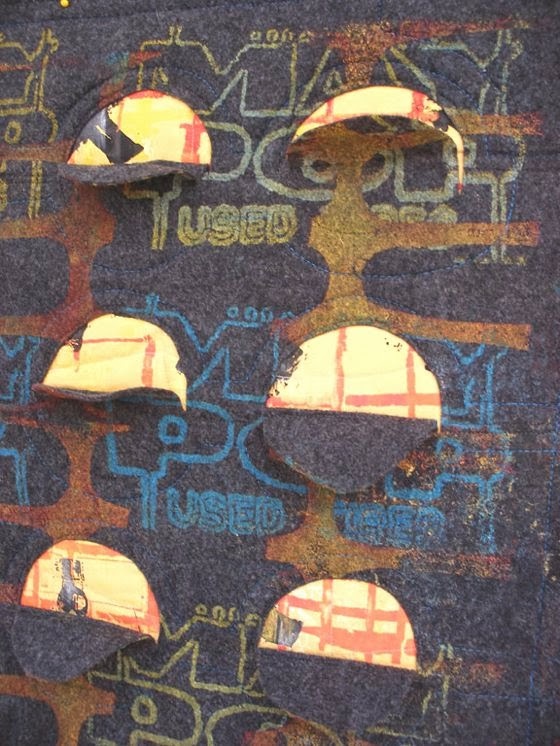 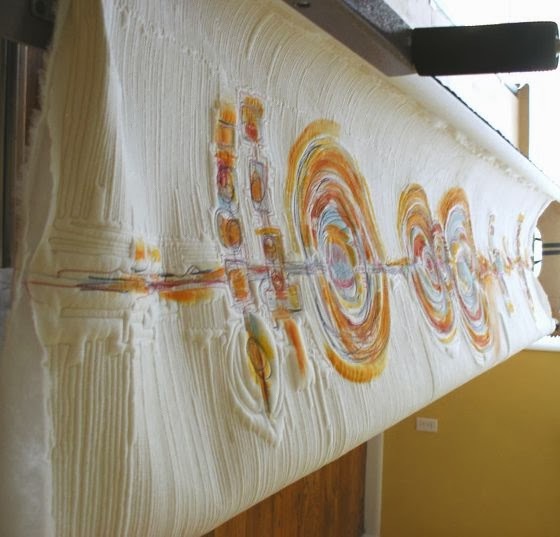 The physical process of creating the fabric through use of seams or with hand drawn signs on the canvas is so vivid observing her works: the complexity of the construction of each piece can take many weeks or even months. 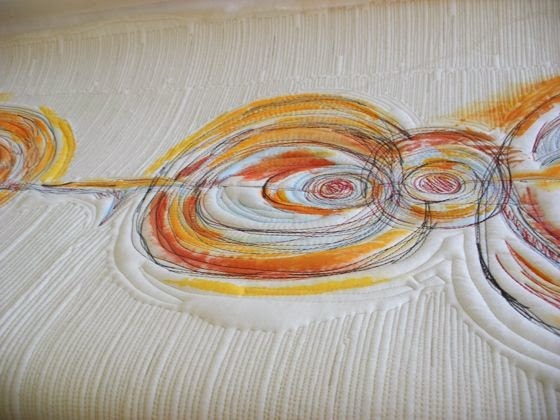 The surfaces created by Fulvia are organic, lively, with interesting textures. 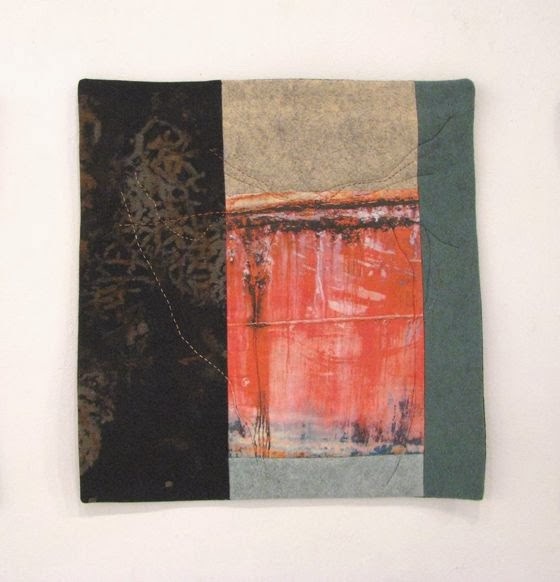 Fulvia's work has been shown internationally in exhibitions and galleries and included in private collections.